Former Seattle Police Chief Norm Stamper believe the Second Amendment should be removed from the Bill of Rights and replaced with legislation "that makes sense for today's world, not the world that existed at the time of the drafting of the Constitution and certainly the Bill of Rights." Mr. Stamper's comment underscores widespread ignorance of the Constitution and its philosophical underpinnings. At the time of the Constitution's drafting, it was generally accepted that an individual had a right to protect himself, his family and property. "Among the natural rights of the colonists are these: first, a right to life, secondly to liberty, thirdly to property; together with the right to defend them in the best manner they can," said Patrick Henry. The Second Amendment was not created for that purpose or to establish a right to hunt - it was established as a bulwark against government tyranny. 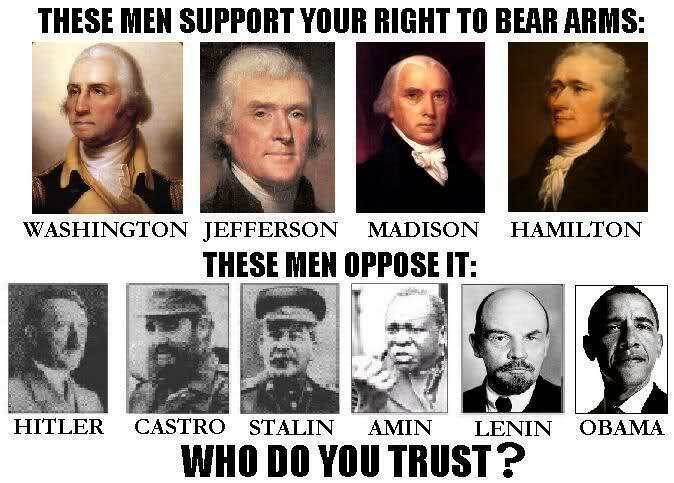 "Americans [have] the right and advantage of being armed - unlike citizens of other countries whose governments are afraid to trust people with arms," wrote James Madison. "The strongest reason for the people to retain the right to keep and bear arms is, as a last resort, to protect themselves against tyranny in government," said Thomas Jefferson. But in today's domesticated and metrosexualized world, the idea that citizens may have to protect themselves against government tyranny is almost completely lost. Mr. Stamper's illogical argument about firearms made during an interview with AOL-Huffington Post is simply more evidence that the principles behind the Constitution, the Bill of Rights and the Declaration of Independence are almost completely lost. 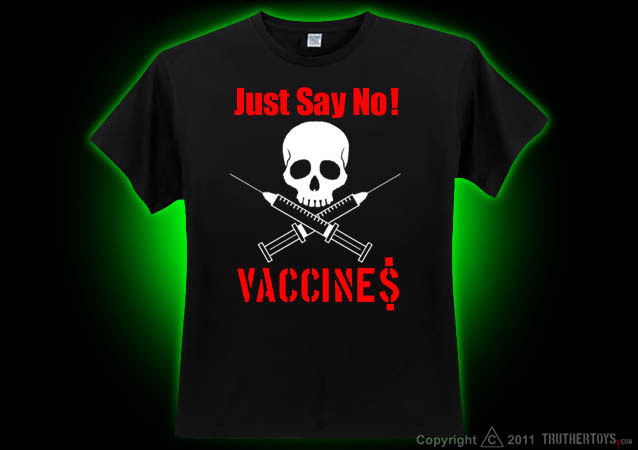 Sign the petition to stop the US from signing the Arms Trade Treaty! Request Two Copies Of "Thriving in Exile"
As patriotic Americans, we have been thrust into a season of political and cultural exile. But in exile, we CAN and WILL thrive! Expanding on his Letter to Exiles email that swept across the nation after the election, Steve Elliott has just completed a new resource entitled "Thriving In Exile" that unlocks the treasures in a 2,500-year-old letter to exiles and will help you build and grow in tough times. Right now, Grassfire is building a conservative "new media" network while we support the next generation of young conservatives to restore our nation. When you help Grassfire build with a contribution of any amount, we will send you two copies of "Thriving In Exile." This resource provides practical truths and real-life examples of how you can build, plant, bless and pray through tough times. 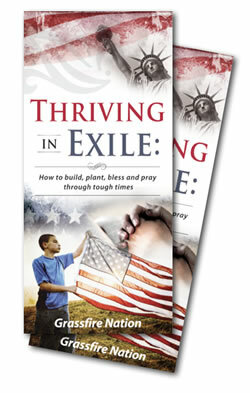 We believe "Thriving In Exile" is a vitally important message for patriots and anyone facing a time of personal exile. If you can contribute $30 or more to help Grassfire build, we'll send you eight additional copies (a total of 10) of "Thriving In Exile." Complete the form below to request either two or ten copies.